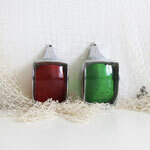 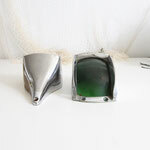 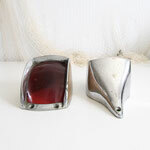 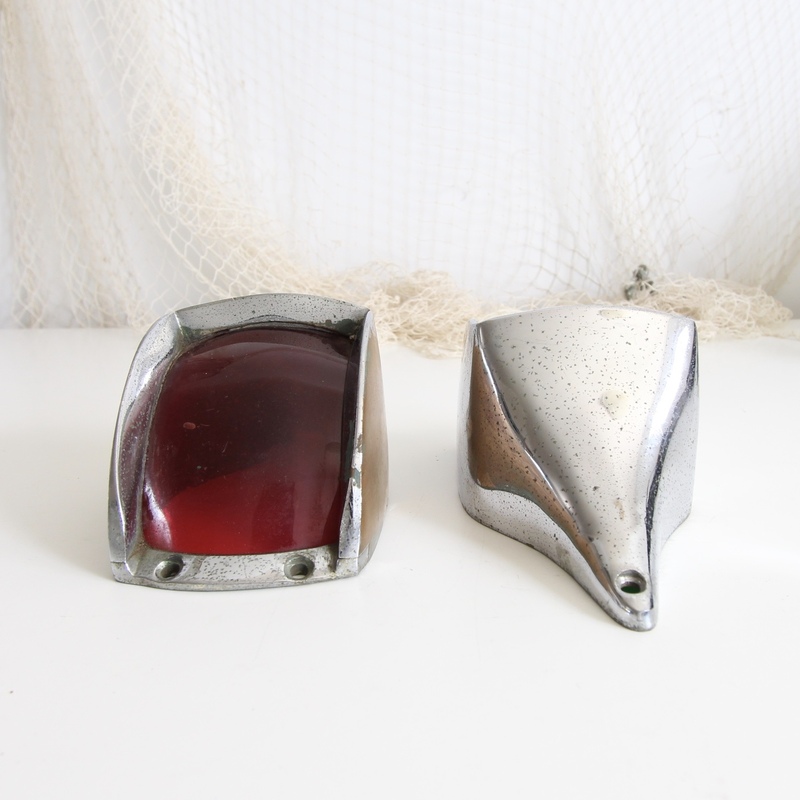 This pair of old sailing yacht navigation light covers are a fabulous & rare find. 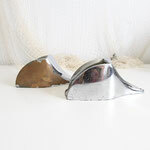 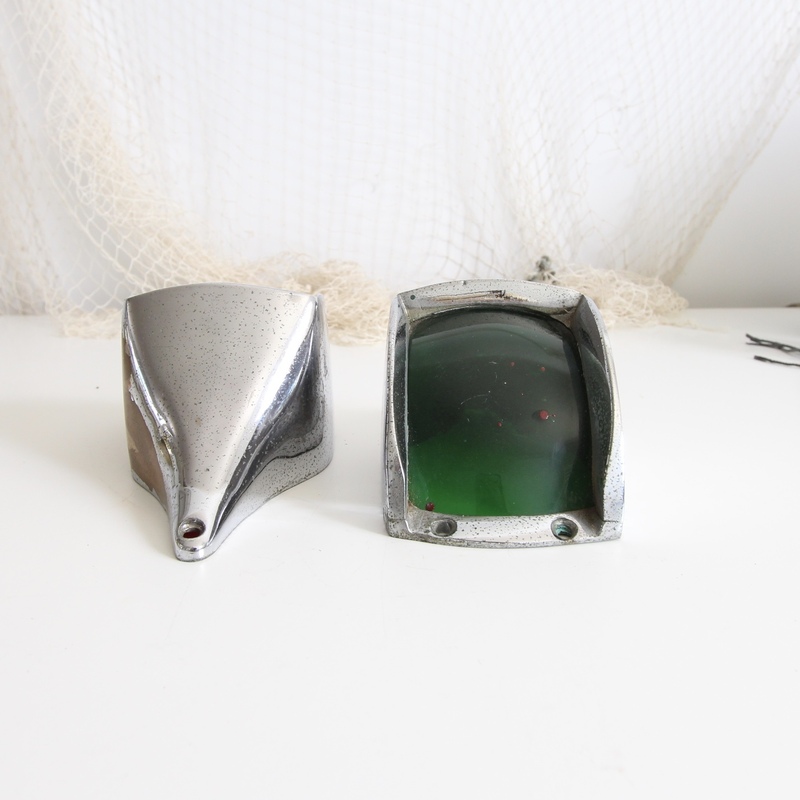 Made from chrome these would have appeared on the port and starboard side of a yacht. They are perfect pieces to add to a nautical style decor . Please see photos for wear and tear.